X-Braces & Straight Braces keeps your cantilever towers braced and sturdy. Different height towers require different x-brace / Straight Braces setups. 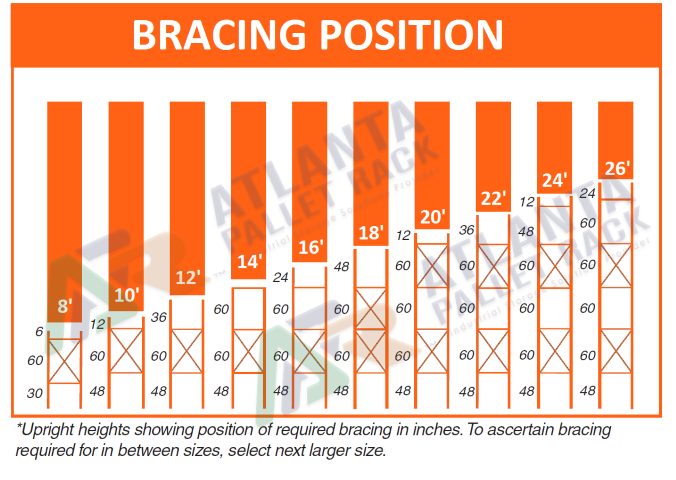 You can increase the load capacity per level by Decreasing the size of bracing. That way, more number of arms supports the load & increase the level capacity. CANTILEVER STRAIGHT BRACES 82"L ( FOR 84" TOWER SPACING) has been added to your Quote.